Immigrant and refugee communities are under attack by federal and state elected officials. We will fight to ensure our country welcomes all and against our current immoral system designed to exploit the labor of workers for corporate profit. We will fight against the militarization of our borders, detention, and cruel policies that rip our families apart. We will fight for a system that affords a full place in our society, our economy, and our democracy for everyone, regardless of their religion or country of origin and advance the rights of all people who call the United States home. Share these DACA graphics on social media with the hashtag #PaDefendDACA . 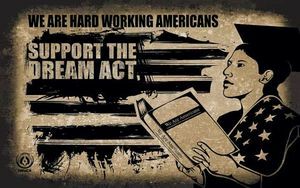 Support clean, swift passage of the DREAM Act. The progressive community is calling on our MOCs to sign a discharge petition to get a clean DREAM act out of committee and to the house floor for a vote. As of October 1st, only five of Pennsylvania’s US Representatives have had the courage to stand up for DACA: Mike Doyle, Brendan Boyle, Dwight Evans, Robert Brady, and Matt Cartwright. If you are a constituent please tell them thank you! If your MOC is on this list, please send a letter asking them get on the right side of history and sign the petition. Call your US Congressman: Tell your members of Congress (MoCs) that you want the Dream Act attached to every must-pass bill in Congress. Call 202-804-8050 to be connected to your MoC, use 5 Calls’ action page, or through Make the Road’s action page. 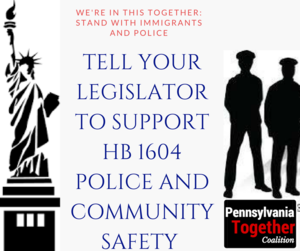 Visit with your PA Legislators Pennsylvania Immigration and Citizenship Coalition (PICC) has a number of toolkits available to those hoping to support immigrants here at home. The full suite of PA bills, plus ways to fight/support as appropriate, can be found here. Encourage your School District to be a Welcoming School PICC also has a toolkit for those who want to push their local school district toward being a safe,welcoming place for immigrants. Please use this guide as a starting place. The Centennial School board will enact a sanctuary policy to protect undocumented students on Monday 9/11. If you would like to ask your local school board to do the same, please contact Tara Pellegrino at tpellegrino@PA-Together.org. Join the fight to Shut Down Berk Detention Center: Berks County Family Detention Center (BCRC) is one of three detention centers for immigrant families, where children as young as two-weeks-old have been incarcerated, in some cases for over a year. These practices have been deemed illegal and facilities including Berks County Family Residential Center been ordered to shut down. Berks has been operating without a license since February 22, 2016. Juntos has been leading the fight to shut down Berks Detention Center. Here’s their toolkit so you can join the effort. Tell your local municipality, your mayor, or your city councilors to stand up for undocumented community members. Many local and state legislators believe that because both President Trump and Senator Toomey campaigned on the idea of punishing “Sanctuary Cities” in particular and immigrant/refugee communities in general, that they should follow suit and introduce and support punitive, discriminatory policies that target immigrant and refugee communities. These rules will harm our immigrant members and their families, obstruct immigrants' access to justice, and make our communities less safe. More than 30 Pennsylvania municipalities have some form of sanctuary city protections. Reach out to your Mayor and City Councillors and urge them to stand up to Trump and Sessions and maintain Sanctuary City status. Call, email or tweet using the hashtag #StandForSanctuary. Send a letter to your Pennsylvania House Representative asking that they support efforts to make Pennsylvania a sanctuary state. 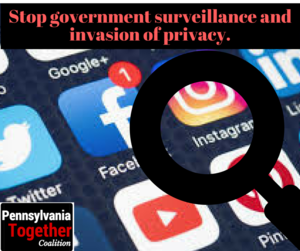 PA SB 9 and HB 1095 Acts requiring identification of lawful presence in the United States as a prerequisite to the receipt of public benefits. HB 28 Would hold “sanctuary municipalities” liable for damages caused by the criminal activity of unauthorized immigrants.